Today, January 26th, the weather in San Diego was still so perfect, not too cold, not too hot. So we decided to visit the San Diego Zoo Safari Park today. 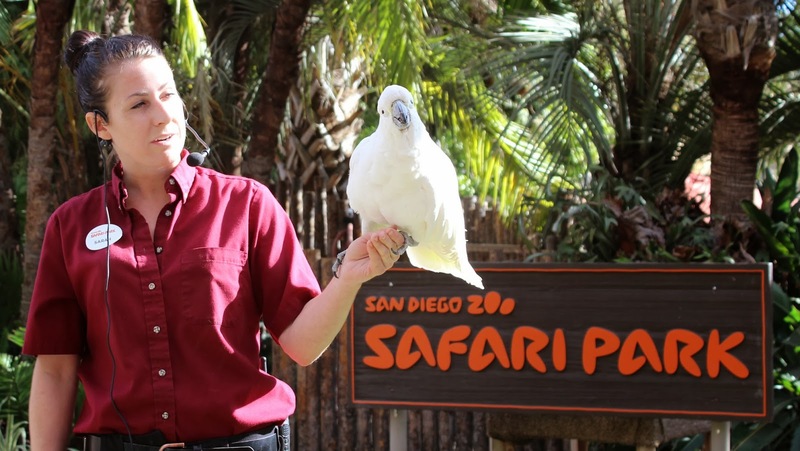 According to Wikipedia, the San Diego Zoo Safari Park, known as the San Diego Wild Animal Park, is an 1,800 acre zoo in the San Pasqual Valley area of San Diego. It is one of the largest tourist attractions in San Diego County. The safari park is different from the zoo that we visited few weeks ago, there are more wild animals here. The parrot welcome us to visit San Diego Zoo Safari Park! I still can't believe that it's 80 degrees today, it's January already! Because of this, a friend of Karen invited us to their neighborhoods' swimming pool to swim. I was very excited since I haven't been swimming for so long. Their neighborhoods is very huge, after entering their "North gate", we were lost. There are golf courses, tennis courses, swimming pool, restaurants and lots of houses in the neighborhoods, it's a very fancy neighborhoods. The swimming pool area is pretty big, there are standard lanes and kids area. Next to the pool, it's a small restaurant, people can order drinks or foods to eat either indoor or on the deck chairs. It is really nice! After changing my clothes, I first played with boys. We use water guns to attract each others, it's fun to play with them. Beside playing with them, I also went swimming myself. I don't know how long is the standard lane, but I swam back and forward totally 17 times today. It's a kinda tired job. Elisa also came into the pool, she was just floating around, but it's super cute! When it's almost noon, we started to eat our lunch. We made our own sandwich and brought them to the pool. Everyone was so tired after playing. But it was fun. 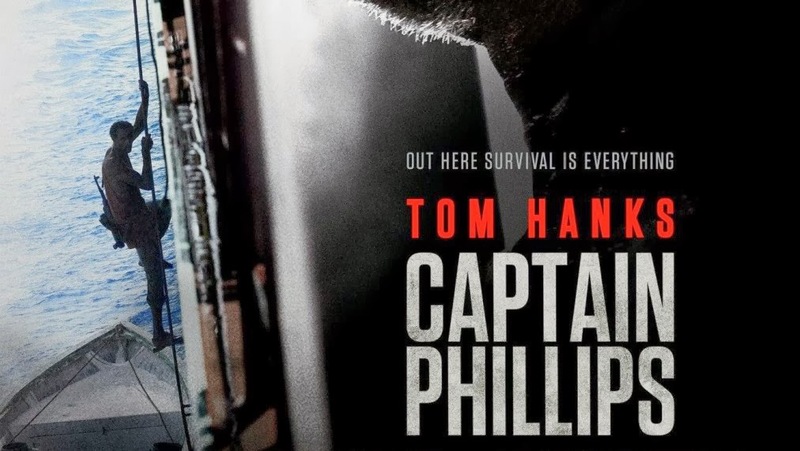 Few weeks ago, Uncle Paul recommend me a movie called Captain Phillips, he said that it is so great, and it is one of the best movies he have ever watched. So I downloaded and watched it few days ago. 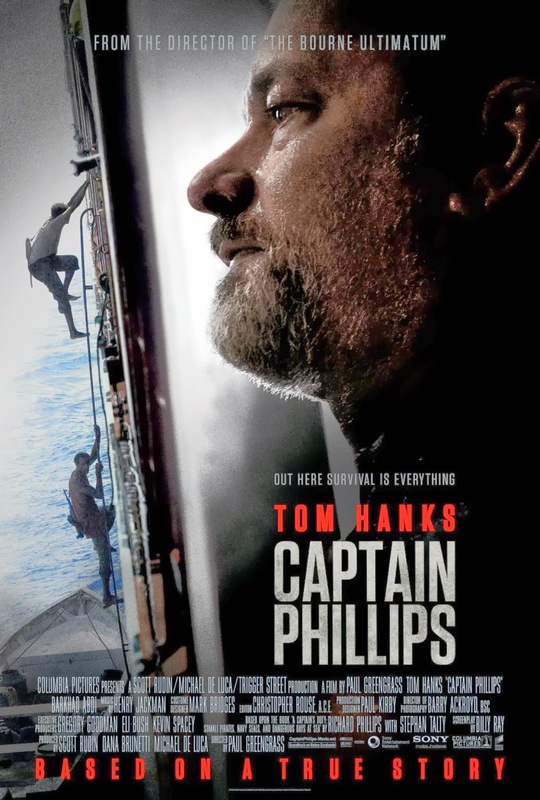 I still can't believe that this is a real story, not only Captain Philips is very smart and wise, but the US Navy and other military people are awesome, they have really good skill. Most of the people may think that those African people are bad, and they should not have done this, but I have a different thinking. Although being a pirate is bad and not right, but they don't really have other choice to choose from, I remember there was a moment that Philips said "everybody have boss". Those pirates of course have boss, too! I believe that if they have choice, they will defiantly do other jobs besides being a pirate, but unfortunately, if they don't be a pirate, they will have no money to live. One of the four pirates was only 16 or 17 years old, it is a age to learn, to attend school, but he can't. And one of the pirates said that he successfully got 10 millions from America government last time, but he was still being a pirate, because those money won't goes into his hand, but his boss's hand. They also want to have better life! Who will want to do this dangerous job if they can live in a house, have a car, and have money to get enough food? One of the pirate said "after this, I will go to New York, and buy a car." I really feel sad to those pirates, being a pirate is not the best solution to solve the problem, if their government can change, if their "boss" can change, all people can have a better life! These are just my thoughts, but anyway, it's still a great, must-watch movie! Make sure to check it out! We did a very healthy activity on the very last day of the Christmas break, we went hiking around the lake Poway in the morning. 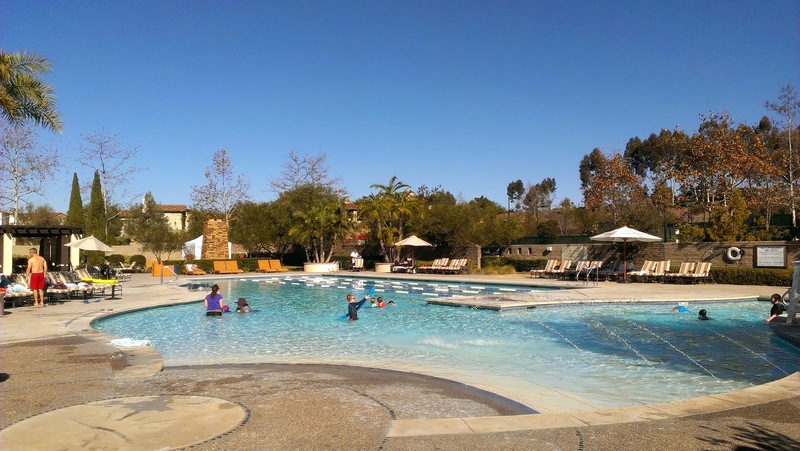 Poway is a city in San Diego County, it is not far from our neighborhoods (4S Ranch). 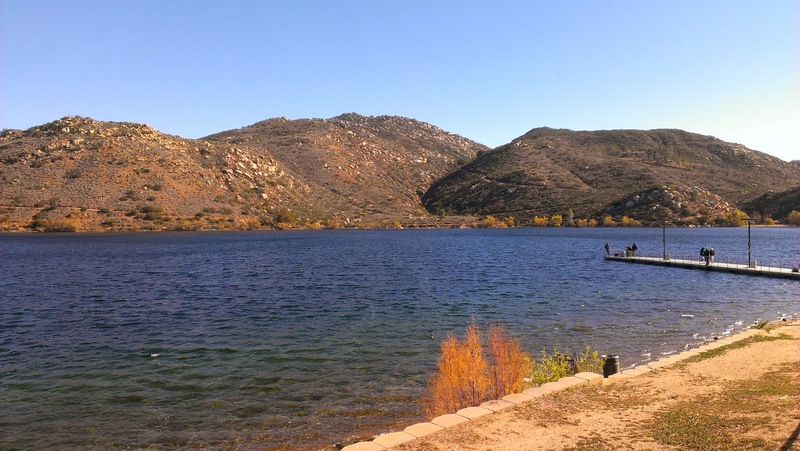 Lake Poway is very beautiful, it is surrounded by hills, and there are trails around the lake for people to walk. The weather was good that day, but I felt hot while I was walking. We spent one and half hours, hiked at least 3 miles. It was a really tired job since we were not always walking on a trail, the road is bumpy sometimes. It was a good activity though, I even saw some people riding horses! After hiking, everybody felt so tired, we couldn't wait to have lunch! The San Diego Auto Show is an annual auto show held at the San Diego Convention Center in early January. As other cities and countries, this season seems to be a great time to hold auto show, because at the same time, Taipei also has a auto show going on. 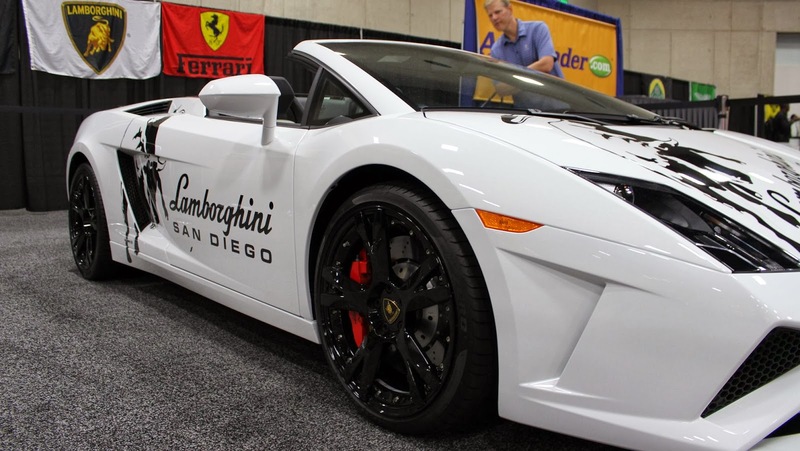 San Diego auto show is not a real big auto show, unlike the one in Los Angeles or New York. We planed to watch the auto show and have lunch in downtown, my mood was really good that day because the weather was nice and I was really looking forward to seeing the show. On the last week of break, we did not do many activities, but we still did something fun. 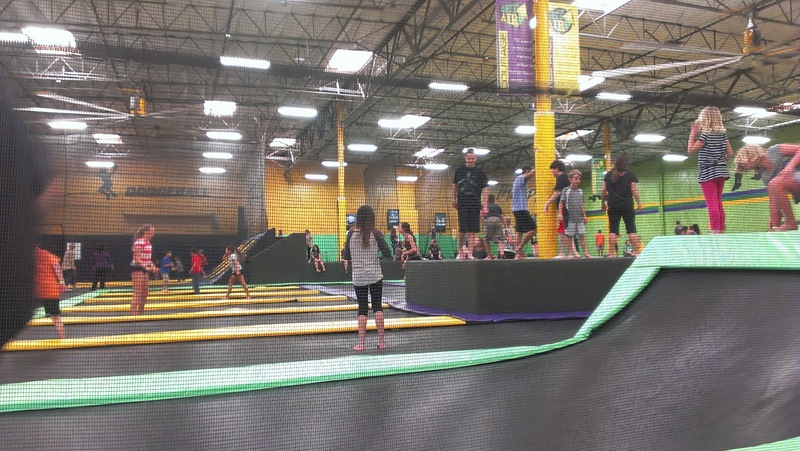 On Thursday, Karen brought boys and me to a trampoline place called Get Air. We had lunch at In-N-Out first, it was my second time having In-N-Out burger, it still taste so good. There were many people in Get Ait, we spent 15 minutes just to get tickets. This picture was taken inside Get Air. There are dozens of beautiful beaches in this Southern California coastal city, San Diego. 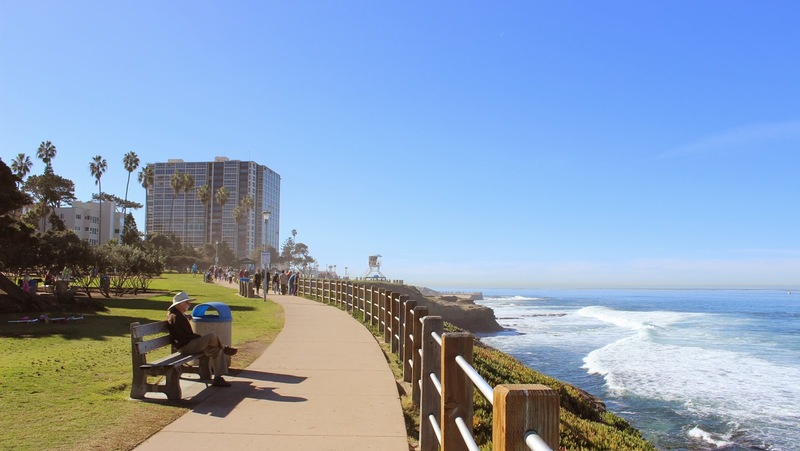 From the shores of Del Mar to La Jolla Cove, all of them are the downtown's historic towns. On uncle Paul's last day in San Diego, we went to the famous La Jolla cove, it is a perfect place to spend the vacation. La Jolla is only a few minutes from downtown San Diego, but it is very quiet and nice. Thursday was the Zoo day! 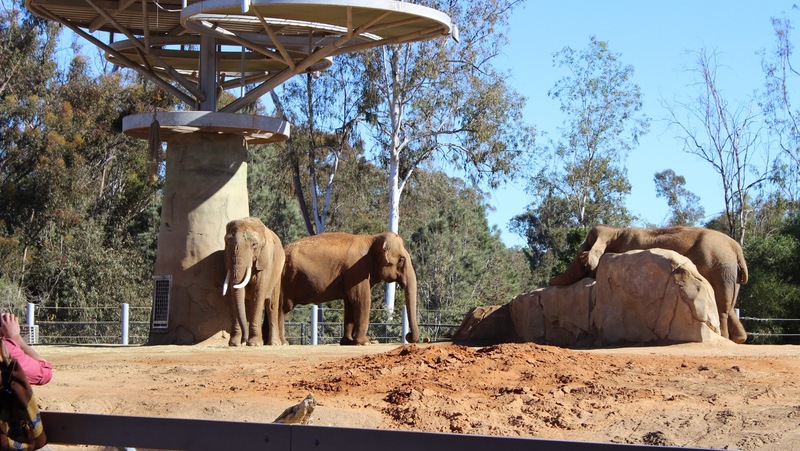 Boys and me were all very looking forward to go to the zoo, especially me, because it was my first time visiting the world-famous San Diego Zoo. According to Google, the San Diego Zoo is a zoo in Balboa Park housing over 3,700 animals of more than 650 species and subspecies.